(Bloomberg) — A temporary truce from a highly anticipated dinner between U.S. and Chinese leaders may give emerging-market traders a reason to cheer Monday, though it didn’t dispel the uncertainty that their dispute has inflicted on markets through much of the year. 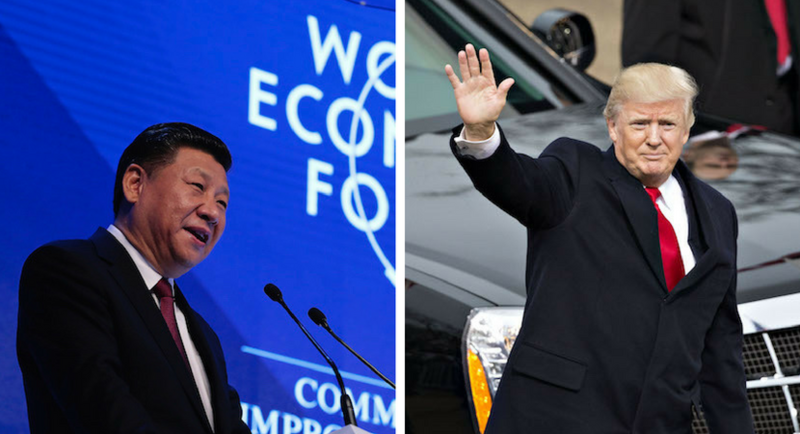 On the sidelines of the Group of 20 summit in Argentina on Saturday, Presidents Donald Trump and Xi Jinping agreed to keep their trade war from escalating. The leaders pledged to halt the imposition of new tariffs for 90 days and intensify their talks as the world’s two largest economies negotiate a lasting agreement. Chinese president Xi Jinping (left) and US president Donald Trump (right). Concerns about a full-blown trade war between the U.S. and China have weighed on developing nations for much of the year, with stocks entering a bear market in October after tumbling 20 percent from their peak. The pressure began to ease in November on speculation that a trade deal may be struck by the two sides next year. Trump in a late-night tweet said that China has agreed to “reduce and remove” tariffs on imported American-made cars. China’s foreign ministry spokesman Geng Shuang declined to comment on any car tariff changes. Emerging-market currencies extended their rebound on Monday, with the Mexican peso jumping 1.6 percent against the dollar and the South African rand advancing 1.8 percent as of 7:47 a.m. in London. The MSCI gauge of developing-nation equities rose 2 percent, set for the biggest gain in a month on a closing basis. Emerging markets also basked in speculation that the Federal Reserve will pause its rate hikes in 2019 after Fed Chairman Jerome Powell said they were “just below” the so-called neutral level. MSCI’s stock gauge had its first month of gains since July and most currencies advanced in November. Powell will give another speech on Dec. 5 and investors will watch out for signals on whether he’s keeping his more dovish tone. As the dust settles from the Group-of-20 summit, the focus will shift to the OPEC meeting on Thursday. Despite oil’s recent plunge to annual lows, any conflict in the Middle East or substantial cuts by OPEC leaders in December could revive concerns about current-account deficits in emerging markets, according to Nicholas Mapa, senior economist in Manila at ING Groep NV. Russia and Saudi Arabia agreed to extend into 2019 their deal to manage the oil market, known as OPEC+, Russian President Vladimir Putin announced after a meeting on Saturday on the sidelines of the G-20 meeting with Saudi Arabian Crown Prince Mohammed bin Salman. The comments open the door for a deal at the OPEC meeting in Vienna to discuss output cuts after oil prices in November suffered the largest monthly drop since the global financial crisis in 2008. Qatar, meanwhile, will withdraw from OPEC, effective Jan. 1 to focus on gas production, Saad Sherida Al-Kaabi, the country’s energy affairs minister, said at a press conference on Monday in Doha. Qatar is the world’s largest exporter of liquefied natural gas and the 11th-biggest oil producer in OPEC. Mexico traders will watch Andres Manuel Lopez Obrador’s first acts as president after he took office on Dec. 1 delivering a blistering attack on the energy industry overhaul. The country’s assets have been on a weakening trend since late October when the leftist ditched a $13 billion airport project backed by some of the nation’s wealthiest businessmen. Investors will now eye potential Senate approval of his nominees for the central bank board and the ambassador to the U.S.
Traders will also be eyeing the release of Mexico’s November inflation data on Friday; the central bank has said the peso slump’s triggered by the airport cancellation was helping keep inflation high. Brazil swap rates traders will also get inflation data on Friday, which is expected to continue showing a benign scenario despite the real’s weakening in November. Inflation’s easing led economists to cut their 2019 forecast for the benchmark interest rate for the first time since January. Equity investors will eye a potential Senate vote on a bill allowing large oil companies to bid for sub-salt exploration areas valued at some $30 billion, which can happen any day of the week. After the rupee completed its best month since 2012, the focus will be on the Reserve Bank of India’s policy-setting meeting on Wednesday. The central bank will likely keep the key rate at 6.5 percent, according to a median estimate of economists surveyed by Bloomberg. The central bank may resume tightening once the general elections are out of the way by mid-2019, Prakash Sakpal, an economist in Singapore at ING, said in a note. Monetary authorities surprised the market in the last meeting in October with a hold after increasing the rate 50 basis points this year. 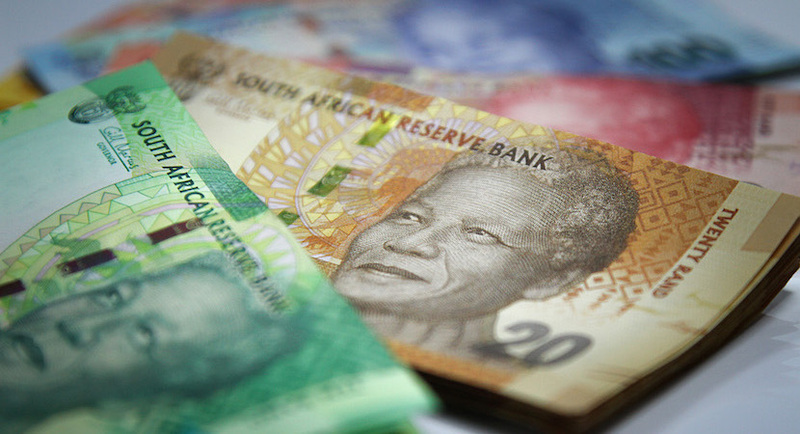 Traders who sent the rand and the lira on a rally in November will get an update on both country’s economic activity this week. In South Africa, investors will be watching the manufacturing PMI for October on Monday and third-quarter GDP data Tuesday after a second successive monthly trade deficit cast doubt on prospects for an export-led revival. The economy probably expanded at an annualized rate of 2 percent, according to the median estimate in a Bloomberg survey of economists, after a first-half recession. Turkey publishes inflation for November on Monday. Annual consumer-price gains will slow for the first time since March, according to the median estimate in a Bloomberg survey. Poland’s November Markit PMI, to be released on the same day, will probably be almost in line with the previous reading. The data will be followed by the central bank’s last monthly sitting this year on Tuesday and Wednesday, where all the economists in a Bloomberg survey expect no policy change after November inflation came in at a 23-month low. Investors will also watch industrial-production data for October in Hungary to see if the economy is keeping its momentum.